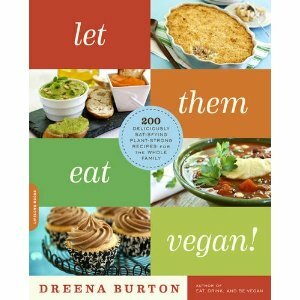 Some of you have asked about when Let Them Eat Vegan will be available for preorder. You early bird shoppers can now preorder on amazon! And, hey guys, check out the first - but not final - cover for the book! This is the temporary cover, so you will see it online and elsewhere for some time. While I think this first design is really sharp and attractive, it isn't what I had envisioned for the book, so my publisher is busy reworking cover design ideas. Stay tuned for the final cover! "Aren't you located in Canada? I find it a bit dismaying that you are promoting a US-only service - one of the reasons I have followed your blog is because you are Canadian!" So I'd like to respond to this, respectfully. And, not to raise heck for the person behind the comment, but to show my position. The bulk of my posts are about my recipes, and I hope they inspire you to cook vegan and more healthfully. But, I also look to share some fun through giveaways. I am rarely approached by Canadian companies offering vegan, whole foods, or cooking products. I have reached out to some Canadian producers, and have not heard back from them. It is time consuming to search out companies that might want to partner in a giveaway or feature. And, I have limited time with three young children and juggling my work with motherhood. So, if someone approaches me for a feature that includes a giveaway, I am happy to oblige when it is suitable for my content and readership - as with Spencer's Market. I have featured Canadian companies, like Maplelea, Mum's, and Zimt to name a few. And, in my cookbooks I have even specified Canadian brands (like Manitoba Harvest hemp seeds in Vive le Vegan). However, this is a vegan cooking blog, and as such is not exclusively Canadian. I would love to partner with more Canadian companies, but have had little opportunity. The reality is that the vegan market is larger in the US, and as such I receive more interest in my work and blog from American companies. I never thought I would be criticized for offering a vegan giveaway. I do my best to share recipes, cooking information, and the odd freebie... and think that effort is largely appreciated. Finally, I was hoping to get together a post for US Thanksgiving. I'm sorry. I don't think I will have time to do so. We are moving house in a couple of weeks, and I have been downright swamped. So, for those of you looking for Thanksgiving ideas, please see my recent Canadian Thanksgiving post. I wish you a Happy Thanksgiving, and hope you find some ideas in that post. You can also search my past Thanksgiving, holiday, and Christmas posts. The cover looks quite neat. I made your Balsamic-Garlic Flax Oil recently, from Vive le Vegan, and it is so good! I made it with hemp seed oil. Lovely. I am so excited about this book!!! I have already pre-ordered mine and anxiously wait for its debut! I really love the cover you have shown... makes me smile! I can't wait for the new book Dreena! And have I mentioned that I love the name of it? I am so excited for the new book, and even though it's not the cover you originally envisaged - it looks great! Wooohoooo! I made your chocolate cinnamon cake with some chocolate hazelnut [peanut] frosting last night - amazing! And so wholesome.. Thank you, as always. I'm thrilled that I'll soon have another one of your books on my shelf. Thank you for the sneak peek. I'm getting excited. Dreena, when I saw the picture, my first thought was, "Oh, what a beautiful cover!" Yes, the cover looks fantastic, looking forward to get this book, surely the content will be as good as cover! I like the cover, keep it! Very cool!! Also because there is some argument about MA's quote being "Let them eat cake!" or "Let them eat butter!" I actually really like the cover. It is very attractive. I love the cover for your new book. It is really gorgeous. Anyway big thanks for what you do for vegan community. Dont get upset with such stupid comments. L.
You're always so well-spoken in explaining yourself to argumentative, antagonistic naysayers. I can't help but feel a little pained every time I come across one of your posts where you have to "justify" yourself. With a family, children, being vegan, running a blog, churning out delectable cookbooks, it's a wonder that you stay sane. Truly. The last thing you need is someone bringing unnecessary negativity to your life and what you do. So, for all of THOSE people, I apologize that you even have to endure that. You don't deserve it. PS I have NEVER made one of your recipes that I didn't love, and I appreciate you for sharing them with the rest of us.